Erin Holbrook joined the Via Evaluation team in 2016. Erin’s passion for education, service, social advocacy, and community engagement began in 2010 with a service learning trip to South Africa. During the program, she helped facilitate workshops for high school students, empowering them to improve their communities through service. Over the past six years, Erin has strived to continue this work, and now, as a Research Associate, Erin hopes to empower Buffalo organizations and schools by using data-driven decision making and evaluation. A transplant to Buffalo, Erin spent the past two years serving as an AmeriCorps VISTA member at the United Way of Buffalo & Erie County. Through the AmeriCorps Volunteers in Service to America (VISTA) program, she worked on a variety of education projects, from data collection for a Federal Full Service Community Schools grant to designing the Reading off the Rink with the Buffalo Sabres initiative. In addition to her work as a VISTA, Erin worked as the Project and Data Coordinator for the Children’s Center for Success pilot program at Family Help Center Daycare and was a volunteer mentor for Westminster Economic Development Initiative’s ENERGY, an after school program focused on building literacy among refugee students. 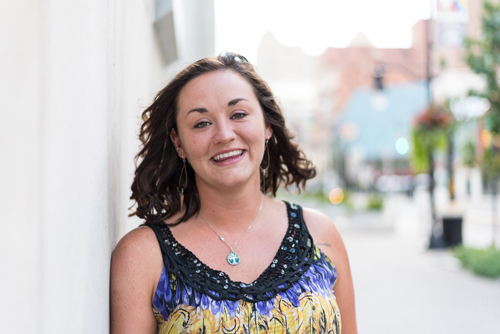 Prior to her move to Buffalo, Erin earned her BA in Communication from Purdue University in West Lafayette, Indiana. While pursuing her degree, she studied Arabic in Morocco, was a volunteer mentor for elementary students through College Mentors for Kids, and interned at Special Olympics Indiana in Indianapolis. Outside of work, Erin enjoys being outdoors, whether it’s lounging on the beach, sweating on the soccer field, or hiking a new trail. During the other nine months of the year, she loves to cook, sketch, and study linguistics.